Dr Amelia knows the importance of high quality healthcare, and ensures she provides this to each person she sees. She has a special interest in Women’s Health, but enjoys all aspects of helping Men, families and children with their health. This includes pregnancy care, mental health, nutritional support and life counselling. Dr Amelia has an integrative focus, and knows doctors never stand alone when providing comprehensive health care. She enjoys collaborating with a wide range of health practitioners including dieticians, naturopaths, psychologists and physiotherapists – to name a few! Dr Amelia is a GP Specialist (Fellow) of the Royal Australian College of General Practioners (FRACGP) since 2016. To stay abreast of the latest in the field of medicine, Dr Amelia enjoys attending and presenting at conferences and educational events for GPs. 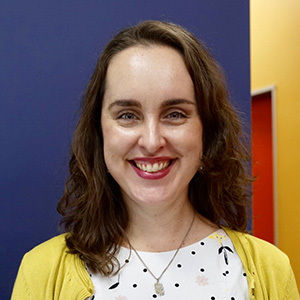 In addition to working at Clayfield Medical Centre, Dr Amelia serves on a statewide council for GPs – the RACGP QLD Faculty Board to support General Practice medicine within Queensland. In this role, she gets to work with GPs all around Queensland and Australia to help ensure we all have the best quality medical care possible. To keep your health in tip-top shape, book an appointment with Dr Amelia!